Most of us do. 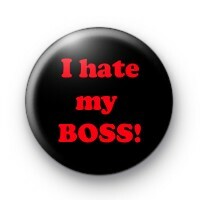 But do you dare wear this badge to work? If not just wear it out on the town at weekends, and feel the power of proclaiming "I Hate My Boss"